Mitochondria, the cell’s powerhouses, are essential organelles in all cells relying on aerobic metabolism to maintain cellular energy levels necessary for all vital processes in the cell and human body. It has been known for decades that aging is associated with a decline in skeletal muscle mitochondrial function. Despite this fact, it is only recently that the therapeutic importance of mitochondria has become fully appreciated. Improving mitochondrial activity cannot only potentially delay the general aging process, but more importantly also retard the onset of diseases linked with aging, such as loss of muscle mass and physical function. 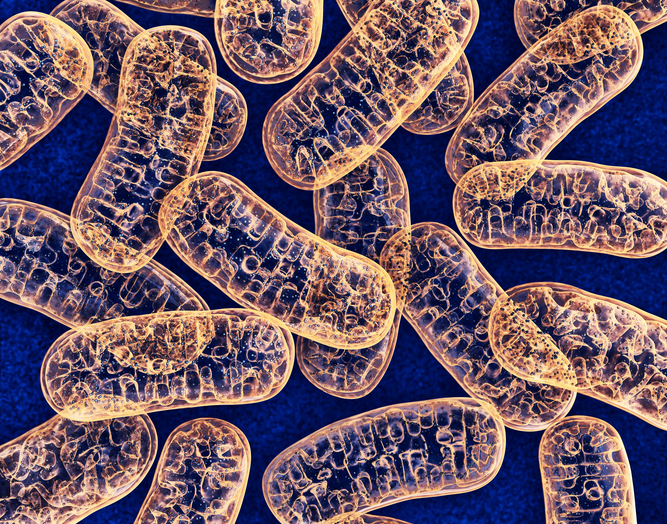 This not only has led to an intense interest to identify molecular pathways that govern mitochondrial number and function, but also spurred an intense search to identify new nutrients and drugs that can be used to improve mitochondrial function. Mitochondria are very sensitive to nutritional signals, which is not surprising given the role of these organelles in nutrient handling. This opens the way to explore the potential of food components and specific nutrients to boost muscle mitochondrial function, thereby improving muscle health and help in the prevention and improvement of age-related disturbances. The project will focus on evaluating novel food components on mitochondrial metabolism and its relation to muscle health. It is expected that basic science in in vitro muscle cell models can reveal novel food components that affect mitochondrial metabolism, and can unravel the underlying mechanisms. Using short-term human intervention studies, the translational aspect of the potential of such food components to boost mitochondrial function will be tested in the elderly population, with a focus on those with compromised physical function. Cross-sectional studies will be used to investigate the relationship between muscle mitochondrial function and muscle health in elderly, whereas we will use large cohort studies to investigate the relationship between habitual food consumption and markers of muscle health and physical function. Finally, we aim to identify novel biomarkers of mitochondrial function that can be applied in observational and intervention studies. It is anticipated that the project Mitochondrial Health will provide the industrial partners with novel insights in the potential of food components and specific nutrients to prevent, delay or improve aging associated decline and disturbances in muscle health and physical function, by targeting mitochondrial function.